For years it was speculated that on December 21, 2012 , the world as we know it would end. Some predicted that we would be eliminated by a natural disaster like a huge tsunami, a powerful earthquake or a volcanic eruption. Others believed that on that same day in December, a mysterious planet would collide with Earth, which would cause changes of magnetic poles, gravitational inversions or a black hole so large that our solar system would simply disappear. In addition, the believers said that these predictions were not new, on the contrary, the ancient Mayans predicted the Apocalypse and recorded it in its long count calendar more than 2,200 years ago. And it arrived on December 22, 2012 and nothing happened. The world continues to turn as if nothing had happened in the previous months. The madness for the end of the world dissipated in the same way as all those who announced the imminent end of humanity. Then it was the turn of the skeptics, who harshly criticized the believers denouncing that they had taken advantage of the ingenuity of the people. But what if the experts’ calculations had not been correct? What if the Apocalypse predicted by the Maya was still to come? One researcher now assures that the end of time will be on December 21, 2019, exactly seven years after the Mayan prediction. David S. Montaigne, a writer and independent researcher, says that the Mayan apocalypse was not correctly interpreted in 2012, and has said that the true day of the final judgment will be in 2019 . According to Montaigne, the 2012 apocalypse, based on the Mayan calendar, was only the beginning of a seven-year tribulation period, and this year marks the end of this period of time. The researcher argues that the true apocalypse will begin on December 21, 2019 , exactly seven years after the Mayan calendar predicted the inevitable day of final judgment. But it goes further in its prediction, by ensuring that, on December 28, seven days after December 21, there will be a shift of poles on Earth, and that natural disasters will be unleashed across the planet. In addition, Montaigne believes that the upcoming events on Earth will fulfill the biblical prophecies mentioned in the sacred book thousands of years ago. But this is not the first time that Montaigne reveals the new date of the end of time. In 2013 he published a book entitled “End Times and 2019: the end of the Mayan calendar and the countdown to the day of the final judgment“ , where he explained that the end of the long Mayan account on December 21, 2012 was really the official beginning of the seven years of tribulation of the Bible . Both focused on the same astronomical events that occur from 2012 to 2019. So the world as we know it will end in 2020. The writer explains that the texts of ancient India tell us about great cycles of destruction. The Egyptians told the same story with different names. 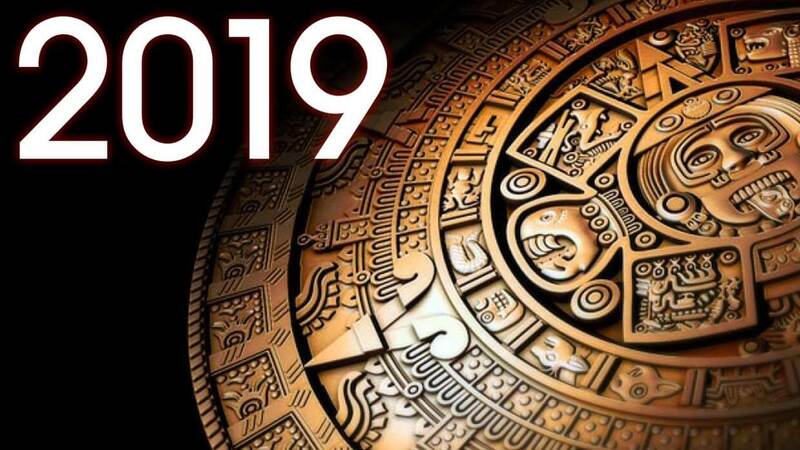 The Mayans revealed another version of the story, and they were very clear about the timing of the events from December 2012 to 2019. But Montaigne also believes that the elite know what is about to happen and have been secretly preparing for years without warning to the population to avoid chaos. And this brings us to the fact that astronomical signs indicate that the inevitable apocalypse will occur this year. On the other hand, other experts in the matter agree in the revelation of Montaigne and they add that a clear one indicates of the imminent Apocalypse is the call “superluna of blood of lobo” , that will happen the next 21 of January. According to the believers, all these events are fulfilling the biblical prophecies and soon we will be witnesses of the Second coming of Christ to the Earth. But the most skeptics have criticized hard the new prediction of Montaigne, assuring that a few years ago he predicted that the antichrist would arrive in 2016 or that Barack Obama was in fact Lucifer and that it would be the cause of the end of time. Leaving aside controversies, think for a moment: Is it possible that the elite spread the false rumor that the world would end in 2012 with the sole purpose that when the real Apocalypse arrived, nobody would believe it? There I leave this question. Is December 21, 2019 the true date of the end of time? Are all the unusual natural phenomena that are occurring in all parts of the world signs of the imminent Apocalypse?